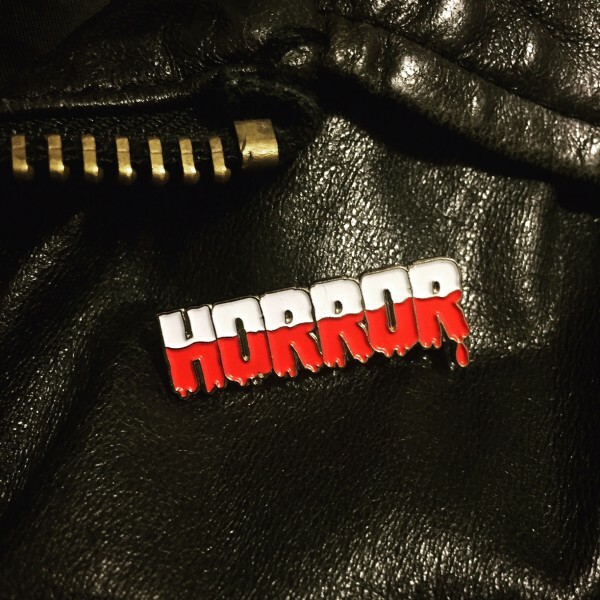 “Horror” enamel pin: Now available for pre-sale! New from Headstone City! Step up your #pingame with this awesome Horror pin! $7 each. Each pin is 1.25 in. and has a double post. Great for stocking stuffers or just for fun! Pins will ship early to mid December, just in time for the horrordays. Limited edition, so order one today! They won’t be around forever! This entry was posted in Gratuitous Horror, New Horror T-Shirt Designs, Newsworthy News, Pins and tagged enamel pins, horror enamel pins, pin game, pins, soft enamel by Headstone City. Bookmark the permalink.